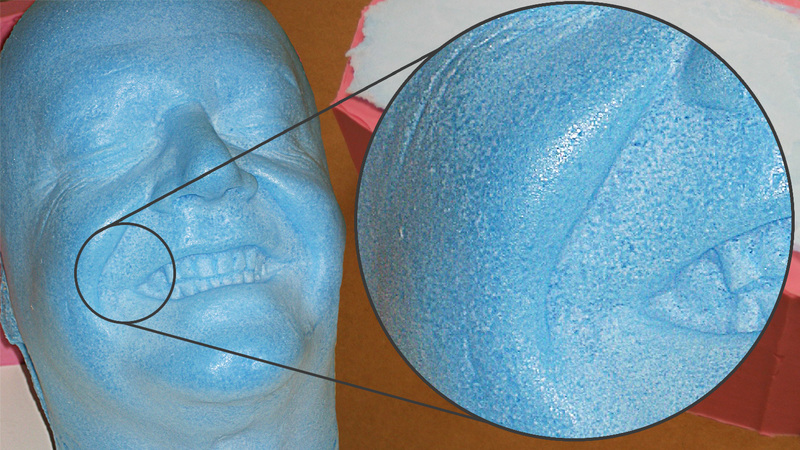 You can improve surface finish by applying back pressure. 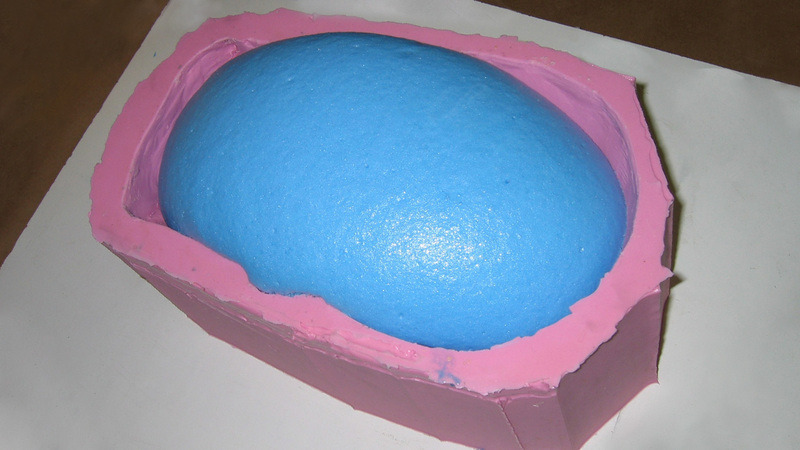 Without applying back pressure, surface finish reveals open foam cells. 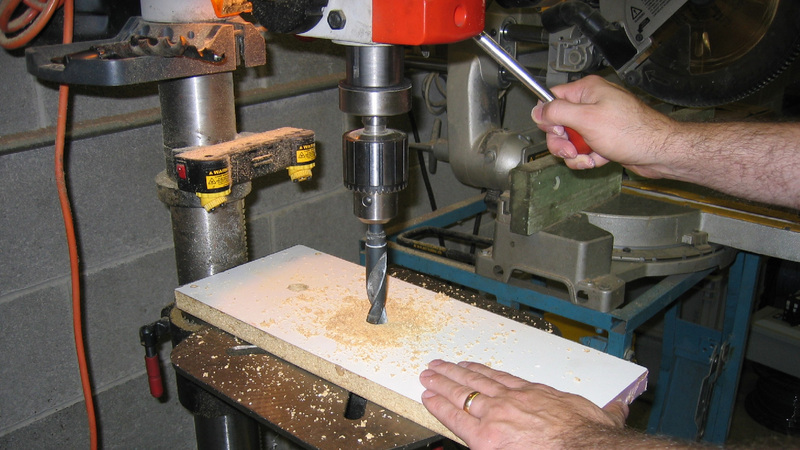 Drill holes into a board that can cover mold opening during casting. Apply Ease Release™2831 to board. 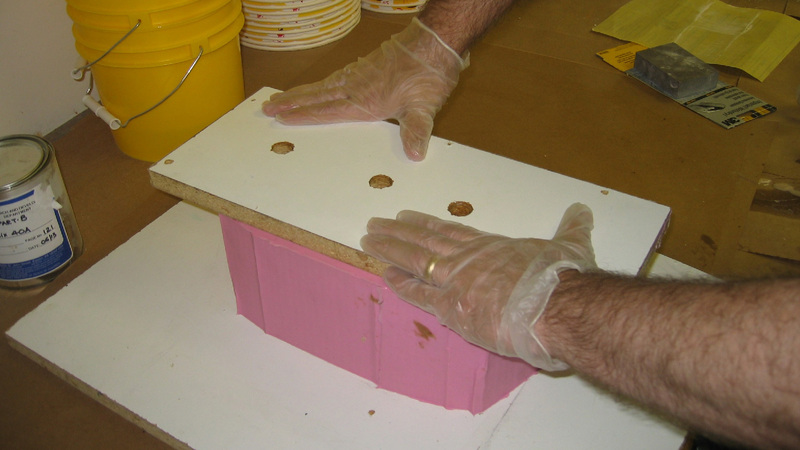 Pour foam into mold and place board over mold with holes centered over cavity. 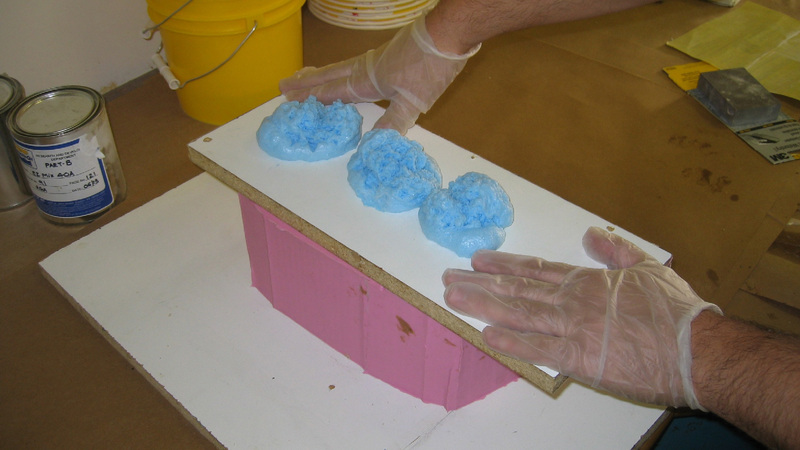 Hold board firmly in place until foam stops rising. Let foam cure for 2 hours. 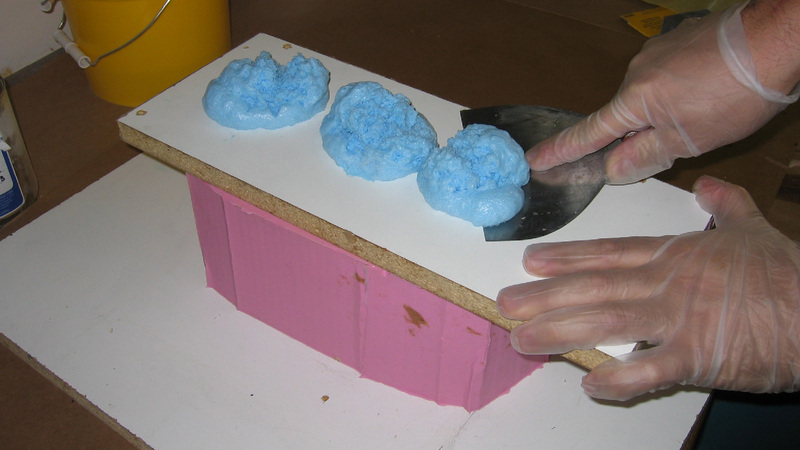 Use a scraping tool to remove excess foam. 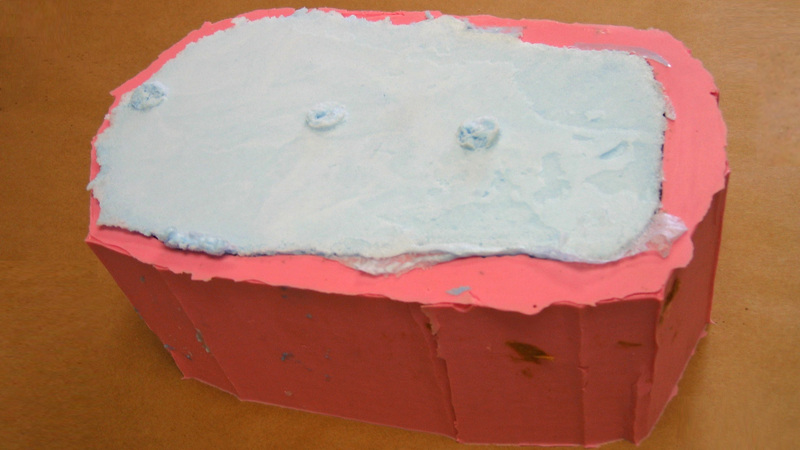 Board is removed to reveal flat back of the casting. 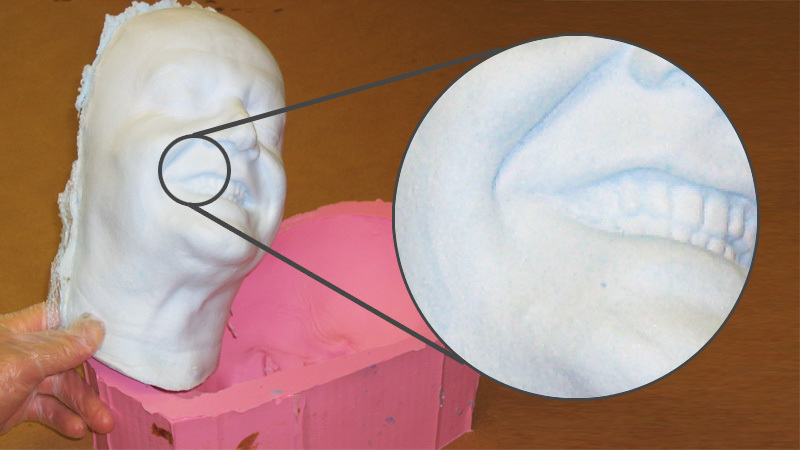 Pressure uniformly compressed foam into mold detail resulting in better surface finish.